A glass canopy can be used to make bars and restaurants more aesthetically enhancing and modern. Are you looking to raise the profile of your hospitality business? Look no further! Unique Metal & Glass create all glass canopies with the utmost professionalism, making your business stand out from your competitors. If you’re looking to add value to your bar or restaurant, you’ve come to the right place. Let’s take a look at the reasons why glass canopies are so useful for bars and restaurants! Taking the indoors, outdoors with Structural Glazing. With comfortable furniture and stylish attributes, you can make any outdoor dining area feel just as comfy as an indoor one. If you’ve got the space to do so, why not take your services outdoors? Our glass canopies and frameless structural glazing naturally fit into the environment, enhancing the space you have available. They offer a more sophisticated feel and can instantaneously boost the appearance of your restaurant. Rather than leaving your customers in the dark, why not make your restaurant brighter by using a structural glass wall? A structural glass wall will enable you to maximise natural light and brighten up your setting, making it more comfortable for customers. Using light colours instead of dark colours and installing frameless structural glazing will potentially help you to boost morale, making customers feel more positive and optimistic. Don’t think twice about creating a sociable setting for your customers! Whether it’s a few drinks after work or celebrating a big birthday, Unique Metal & Glass can assist you to make your restaurant more sophisticated for your customers. When it comes to keeping it Al Fresco, you needn’t look beyond UMG- it’s what we specialise in. You’ll never have to worry about the weather raining on anyone’s parade, not with one of our entrance canopies! No matter where your bar or restaurant is, you have the opportunity to set the scene, so make your customers feel like they’re living the life of luxury in Paris or sipping cocktails in the sun in Rome, the glass canopies we supply, enable you to entertain your customers, all-year round. The entrance canopies from Unique Metal & Glass are perfect for encouraging customers to your bar. They are eye-catching and stylish. Choosing glass canopies will enable you to create a cosy space, one that makes customers feel comfortable and relaxed. For many people, the best way to spend the summer is in the company of friends and family, making the most of the warm weather. So, if you’re offering the ultimate wining and dining experience for your customers, you’ll want to incorporate music and lighting that sets the right ambience. 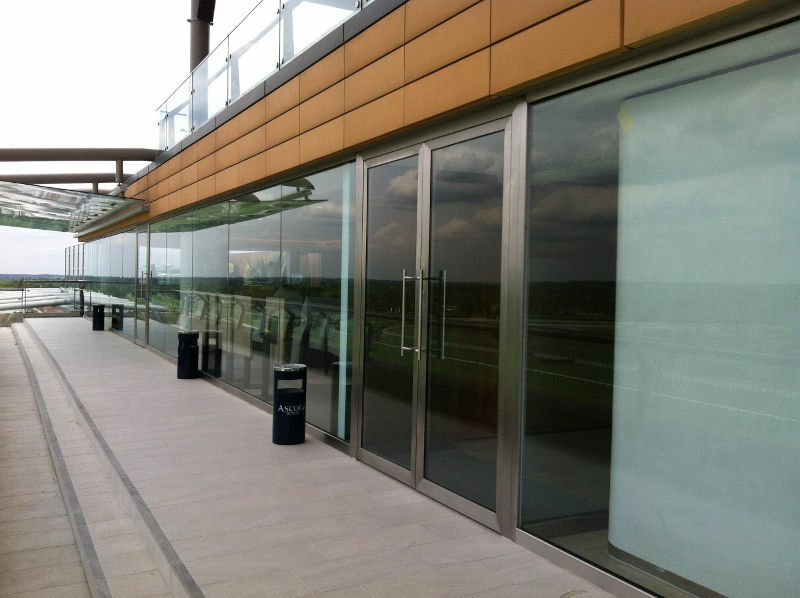 Whether it’s a roof top bar or outdoor dining space, the glass canopies we provide are perfect if you’re looking to shelter your electronics and to protect your customers from any short, sharp downpours. Here at UMG, we aim to suit all requirements and meet deadlines, providing you with advice that’s honest. If you need any support or guidance, feel free to get in touch with the team here at Unique Metal & Glass, simply call 01246 208 789!